For many people, gardening is an immensely refreshing activity. It not only beautifies your home but also serves as a source of clean air and even fresh produce. It is no wonder that gardening remains one of the most widely enjoyed activities across the globe. Gardening would be impossible without the right tools for it. These tools need to be in top condition in order to effectively fulfill their purpose. Since they are primarily used outdoors, your gardening tools are frequently exposed to the elements, which can dull them over time and decrease their effectiveness. Fortunately, there are several ways to prolong the lifespan of your tools. 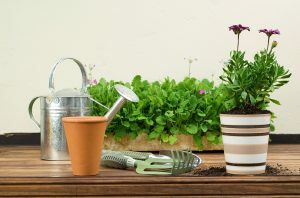 With these useful tips, you can keep a perfectly manicured garden without frequently having to purchase new gardening equipment. It is vital to keep your tools clean, as the gradual buildup of dirt and grime can erode them over time. Start by removing any ingrained soil or sap which can dull the edge of your blades or become stuck between your tool’s inner mechanisms. Wash them in soapy water and dry them thoroughly to prevent rusting and degradation. Oiling your tools will also help lubricate and shield them from the onset of rust. This will help loosen up any crevices or joints as well. Be careful not to get any on your plants; some products can be toxic. Gardening tools are highly vulnerable to the elements, especially in Australia, where weather conditions can be harsh. To shield them from these negative effects, invest in durable, high-quality garden storage. They will not only protect your tools but also help you organise and keep track of them. Garden storage has to be dry and secure, to prevent the accumulation of rust and mould. At Yardly, we supply a complete set of durable garden storage cabinets where you can store large volumes of items with ease. They are equipped to withstand adverse weather conditions and can fit easily into your garden or shed. Gardening involves a lot of cutting, pruning and shearing, all of which will necessarily call for sharp tools. Subjecting them to sharpening will preserve their edge and effectiveness long after you’ve bought them. You can sharpen your tools yourself using a flat file or a sharpening block. Since sharpening is a highly risky activity, take the right precautionary measures. Wear goggles or any form of eye protection to shield yourself from flying shards of metal, and use gloves when directly handling sharp edges. Clamp your cutting tools on the table or secure them in vices. In the absence of these options, don’t hesitate to hire professional sharpening services. Regularly maintaining and caring for your garden tools will preserve their condition over time and prevent the need for replacement. Yardly delivers a complete set of outdoor storage solutions for Australian households. Contact us today for more information.